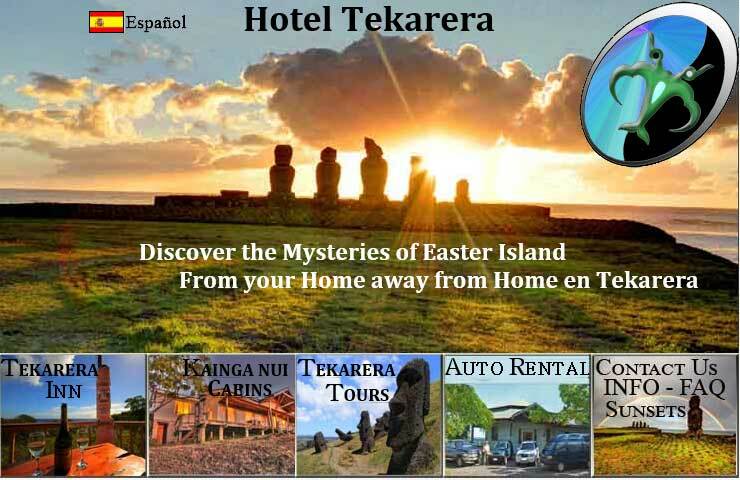 Hotel Tekarera on Isla de Pascua has Quality Rooms on Easter Island in Hanga Roa, Great views of the Pacific Sunsets from the Decks overlooking the sea. Free Transport To and From Airport, Daily Breakfast, Free Wi-Fi, TV, and BBQ. One, Two or Three Bedroom House on Rapa Nui in Hanga Roa. Located on a hill overlooking Tahai you will have spectacular views of sunsets over the Pacific Ocean. Relax in your own house with Kitchen, Dining, and Living Room plus your own private deck.